It was so good to see my college roommate tonight and her now hubby. It has been a long time (I won't mention how long, but let's just say too long.) They were visiting from out of state, and I got to take pictures of their gorgeous little girl. I love those wispy little curls. Doesn't mom look amazing? She looks just like she did in college - maybe even prettier. Look at that precious smile. I didn't see it often, but it was worth the wait. It was great getting to see you guys and meet your little one. Next time we will have to get all our kids together and hang out. Have a great trip! Love the expressions you captured. Great work! Looks like a fun shoot!! 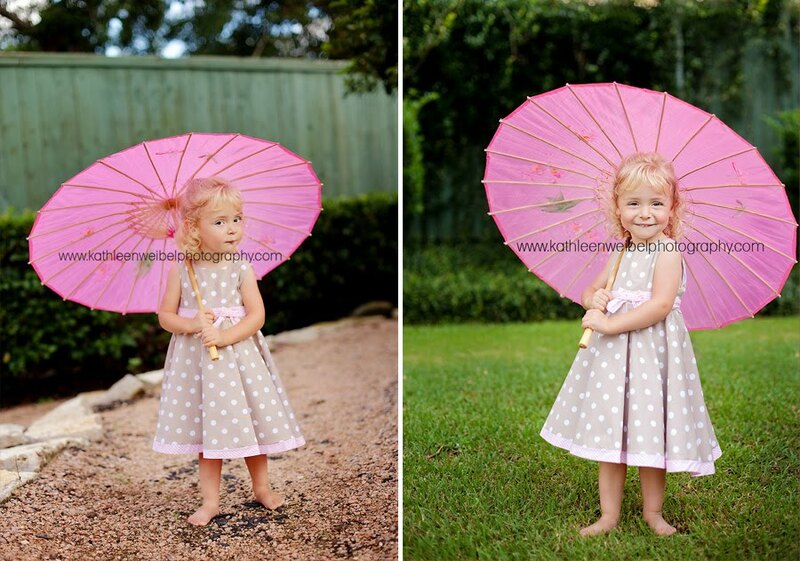 I adore the pink umbrellas...beautiful captures! What a cute little girl. Great job! awe she is so cute!! 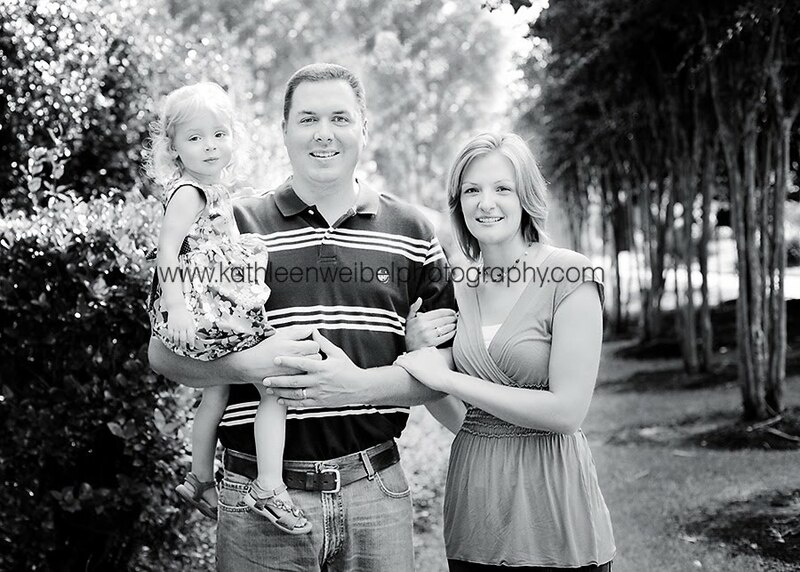 love the family pic too!! great job on these! she is a CUTIE! these are great. She is ADORABLE! Beautiful work! I just love those curls! You got some beautiful light in her eyes. oooh - the sweetest little thing! and you did a fab job capturing her. I love all the different expressions! Lovely photos! In love with these shots!!! Beautiful Kathleen!!! What a cute little girl! Love the sweet moments you captured! Love these as always your work shows so much of the subject's personality. The peek a boo is my favorite! 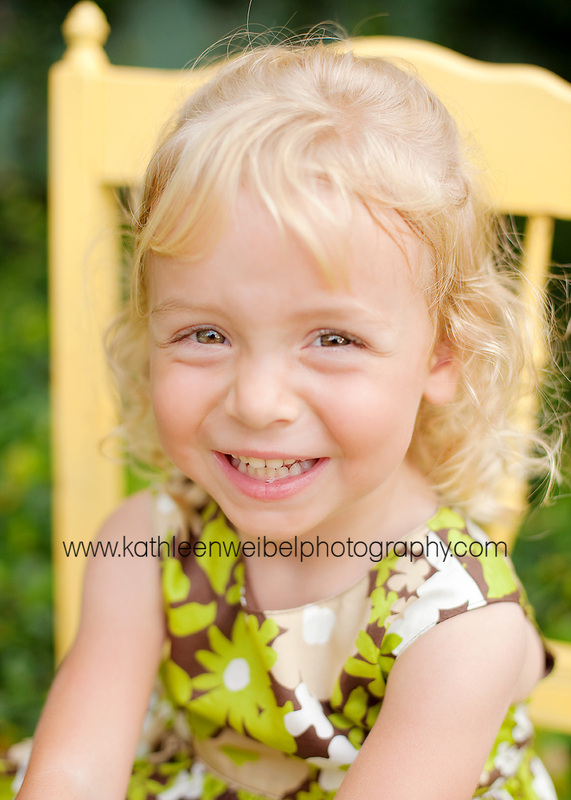 love these,you did great at capturing her personality! What a cutie! Love the way you captured her cheeky smile. what big beautiful brown eyes! lovely lighting! you're right - she is such a beautiful little girl. but then again, the whole family looks great! these photos are fabulous! Such a darling little girl! 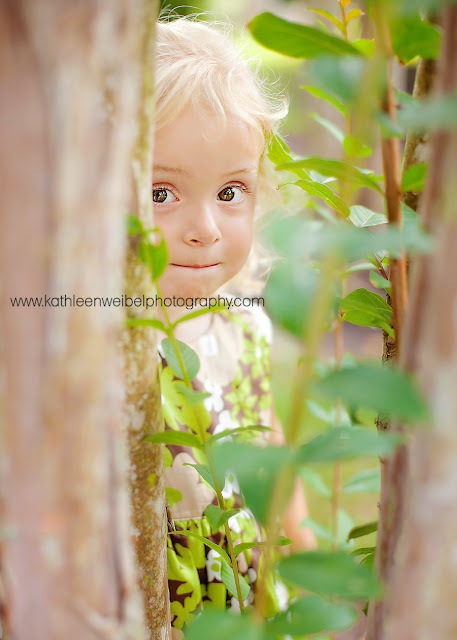 I love the one of her peeking from behind the tree! These are so much fun! And yes, love the curls. But the peeking-behind-the-tree is my fave! Oh what a cutie pie little girl! Love the ones with the parasol. Sooo cute! You totally rocked this session! Wow! I am having a hard time even choosing a favorite, but it's probably the peek-a-boo shot. Oh my gosh is that cute! All images on this site are property of Kathleen Weibel Photography. No form of reproduction, including copying, scanning or saving of digital image files, or the alteration or manipulation of image files, is authorized unless accompanied by written permission from Kathleen Weibel Photography.